Atlassian is no longer a part of the conversation. Slack and Atlassian jointly announced that they have entered a partnership, the result of which will see Atlassian give up its toehold in enterprise chat. The public productivity company is selling the intellectual property behind Hipchat, one of the first enterprise chat solutions, and Stride, Atlassian’s most overt attempt to compete directly against one of the most popular workplace messaging platforms. In return, Atlassian “has made an equity investment in Slack,” according to a Slack representative. The startup would not disclose terms of the deal. A representative from Slack told Crunchbase News the acquisition of Atlassian’s chat products “is to reinforce our commitment to the partnership, both short term as we migrate customers to Slack and long term as we continue to roadmap and build deeper integrations across products.” Slack confirmed that the acquisition would not include employees of the Stride team. Stride was released on September 7 of last year, giving the product less than a year to compete against Slack. Hipchat, on the other hand, has been a product under Atlassian’s purview since it acquired the product in 2012. Hipchat has only seen limited product improvements since then. Slack’s acquisition of Atlassian’s chat patents has resulted in a serious contender exiting the space. Those that are left are often much smaller, have less funding, or are less focused on enterprise chat. Google, a collector of chat applications, has admittedly announced a Slack competitor through a redeployment of Hangouts. 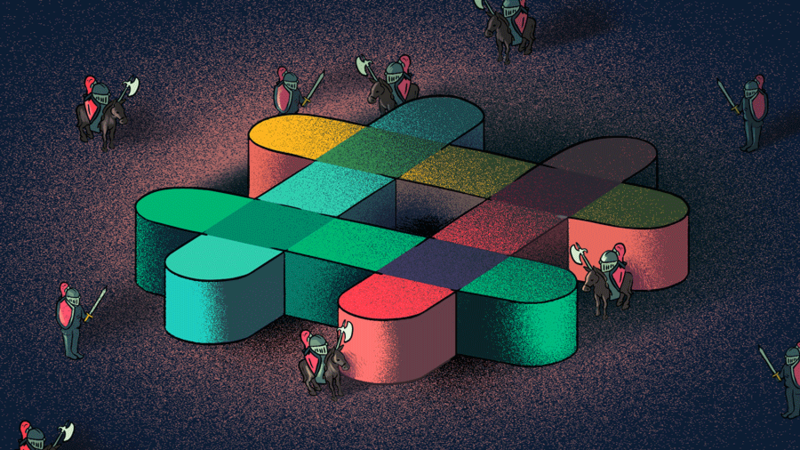 However, Slack also noted to Crunchbase News that it has entered into a strategic partnership with Google as well, possibly calling into question Google’s ambitions to make Hangouts a viable alternative to Slack. That leaves Microsoft Teams, which has been growing at a good clip and recently announced a free version that anyone can sign up for. According to Slack, Microsoft’s announcement of a free tier for Teams did not impact the company’s decision to partner with Atlassian. Slack has raised, according to Crunchbase, $790 million from venture capitalists. Slack will need to keep growing to fill out its last known, pre-money valuation of $4.9 billion. Now with Atlassian out of the way, the unicorn will presumably be able to focus on keeping Microsoft Teams at bay.